So, if it's buyer beware, let us be smart and eat well, too! 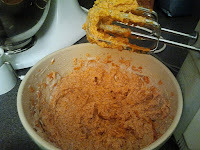 Say hello to one of two recipes I will be posting over then next few days that you can whip up happily using ONE (yes, one!) can of pumpkin to cover both recipes. Then you can stick it to the man. And give him a blondie bar, while you're at it. 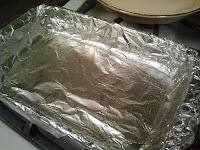 Take an 11 x 7 x 3 pan (or 13 x 9 for thinner brownies, thicker makes them cakier) and line it with tinfoil. Spray lightly with nonstick cooking spray and set aside. Preheat oven to 350˚. In a small bowl, mix the flour, baking powder and soda, salt, cinnamon, nutmeg and cloves. Stir with a fork. Set aside. In a small pan over medium heat, toast the coconut until golden. Cool down. With an electric mixer, whip the butter until creamy. 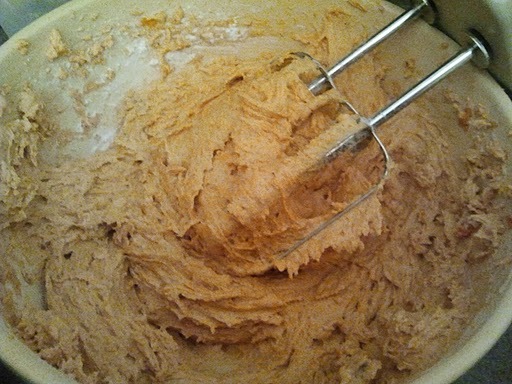 Add the sugar and whip until fluffy. Add the egg and whip until lemon yellow in color and fluffy. 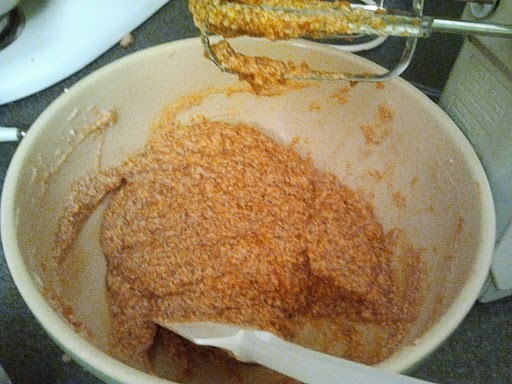 Add the pumpkin and vanilla until well mixed. 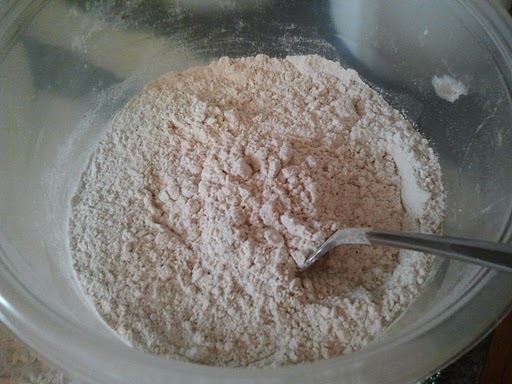 On low speed, add the dry ingredients and mix until combined. Don't over mix. 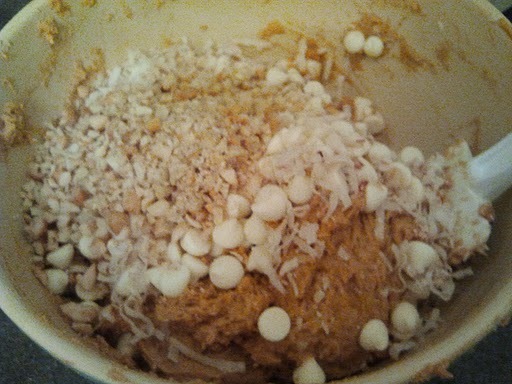 By hand, mix the coconut, chopped cashews and white chocolate chips into the batter until well combined. 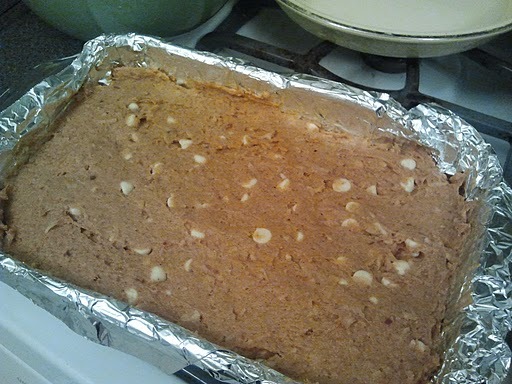 Spread batter evenly into the prepared pan. Bake on the center rack for 30-35 minutes, or until lightly golden and toothpick at the center comes out clean. Let cool on a rack. 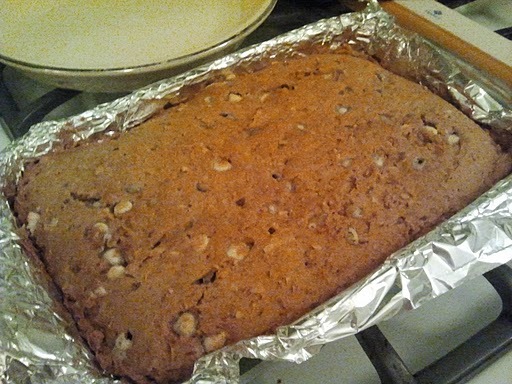 Cut into 2" bars. Store bars in the airtight container for 3-5 days.